Beating the stuffing out of a goofy looking pinata can be the highlight of a party! But to some, this practice is cruel and pointless destruction. My daughter falls in the second category. She was heartbroken to see her friends tear apart the colorful little donkey she so carefully picked for her sixth birthday. Now we opt for the less violent pull-string variety. Pull string pinatas are made of cardboard and paper and filled with goodies, just like the other kind. But they look a little different with dozens of curly ribbons hanging from their base. Instead of hitting these pinatas, you are supposed to let each participant grab a ribbon and pull. – Most of the ribbons are lightly attached and will come off in the child’s hand. But one ribbon is attached to a trap door that will release the goodies. Pictured above is the store-bought pinata we used at my daughter’s 7 year old party. When she turned 8, we decided to save a little money and add a little fun by making our own pinata! Make a trap door in the lid: In the end, you will want a kid to pull a piece of ribbon that opens the trap door and lets candy fall out. One idea is to cut a large hole in the lid and just tape it back together. Poke a ribbon through the cut piece and tie the end to a durable/hard grand prize (such as a water gun). — Set aside where the birthday kid will not be able to see where the trap door’s secret ribbon is located. Add a string to the canister: Cut holes near the closed end of the canister. 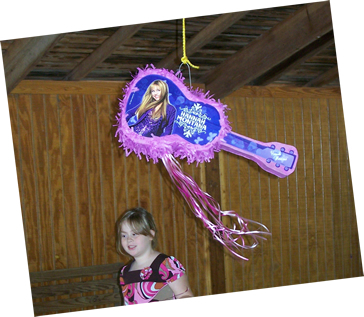 Insert ribbon or kite string so that you have a way to hang your pinata. Decorate the canister: Tape a few sheets of paper around the oatmeal canister so that you have nice, blank canvas to color. Decorate with crayons and any other craft items you want to use. Add Fringe: Cut fringe into the crepe streamers and tape them around the top and near the bottom of the canister. 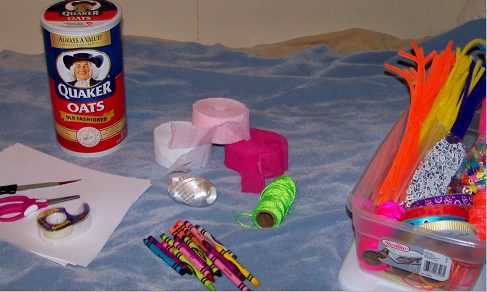 Add the Strings: Tape several long (30 inches or so) ribbons to the lid of the pinata. You can also add more fringe to help disguise which ribbon is the magic one that will open the trap door. Just use small pieces of tape for this part and make sure not to let tape pieces overlap. ‘” you want most of the ribbons to fall of easily when tugged. At the party, let each player pull 1 ribbon at a time until the trap door is sprung! 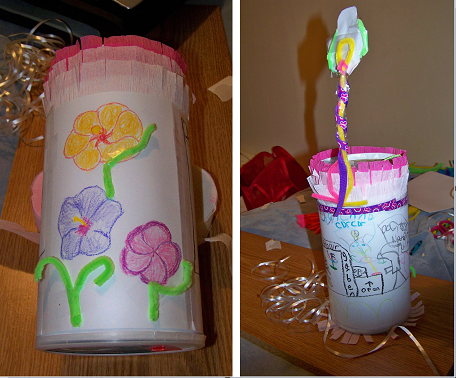 For a rectangular pinata, use a cereal box instead of an oatmeal canister.